Need a night of performance art? Take a look at this list of Missouri's performing arts. We have a lot to offer, from music and ballet to the theatre. That box office hit from the big screen will be available on DVD, but these are limited time performances, so come on down and be amazed at these performance arts in Missouri. Check out this list of all Missouri ballet. 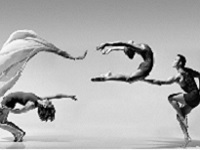 If you are in the mood to see beautiful dance routines you won't be disappointed. Take a look at Missouri contemporary ballet for something beyond the classics. If you need a break from classical ballet, check out modern dance in Missouri. These fresh new routines will leave the crowds wanting more. But don't plan on any encore performances. Grab your tickets for contemporary modern dance today.